The workshop Money Matters is built specifically for agency owners and their right hand financial team members (CFO, Accounting Manager, Bookkeeper, etc). When it comes to money and agencies — there’s a big difference between Young & Rubicams of the world and you. Good news is — you can make as much money, if not more than they do — if you manage your finances right. If your company has fewer than 50 employees, the great big numbers you read in the trade publications and all the research reports about advertising agencies, interactive firms, or public relations firms just don’t apply to you. Our agencies are different and we measure our performance and results differently. Of course we are all in business to make a profit, but the way the big guys get there and the way we get there is really different. We’re lucky, because our businesses are smaller and easier to manage. Our two day workshop, Money Matters for Agency Owners, was developed especially for principals, financial managers, and operation managers in marketing communication firms (advertising, design, digital, marketing and public relations). Our objective is NOT to turn you into a bean counter. We want you to learn how to use the numbers to your advantage, maximize your profits and grow the company. And, of course, Money Matters for Agency Owners is about the benchmarks you should use to operate profitably. You will learn about the AMI Report Card and other critical dashboards that will let you know if your company is in trouble at a glance. Now, instead of just getting the numbers, you read the key metrics with dynamic charts. As the market changes, so does the way you charge for your work. Value pricing, fees, hourly rates, project pricing and return on investment all are discussed in detail. You will learn the pros and cons of each, and the best time to implement change. You will learn what salaries other marketing firms are paying for various positions; healthcare benefits; vacation pay, holidays, personal time off; profit sharing, and more. We’ll talk taxes, dashboards, best practice staffing metrics, getting your money out of the business before you try to sell it and much more. 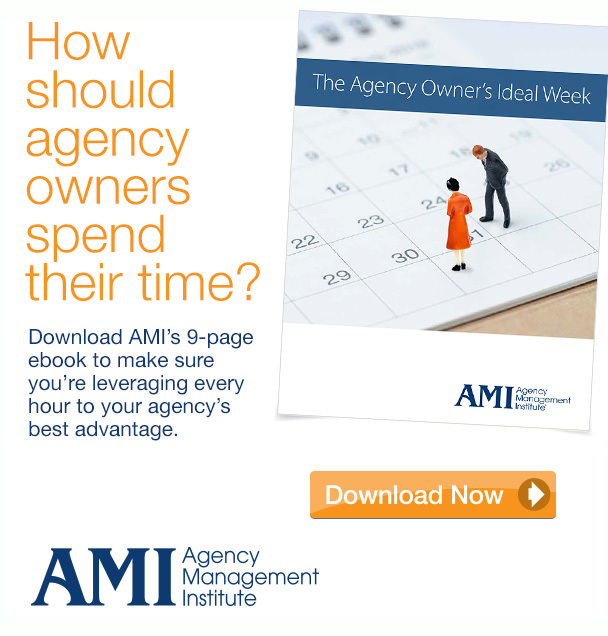 Sign up for a Money Matters for Agency Owners Workshop Today! Or download our PDF registration form here. Tuition price per person includes all meeting materials breakfast both mornings and lunch both days. Travel, accommodations and dinners are not included. About Drew McLellan: Drew is a 25+ year agency owner, national speaker, AdAge ranked blogger, facilitator, and top dog at the Agency Management Institute. He works with the owners and account service staff of over 250 agencies a year – helping them increase their bottom line.